Fleming Rutledge’s The Crucifixion: Understanding the Death of Jesus Christ is an extraordinary book. It’s theologically deep and beautifully written, pastoral and scholarly, ecumenical and evangelical. Like its author, it’s Episcopal but not as you know it. It’s endorsed by people you rarely find endorsing the same book: Stephen Westerholm and David Bentley Hart, Kate Sonderegger and Stanley Hauerwas, Larry Hurtado and Robert Jenson. In some ways, it’s the successor to John Stott’s The Cross of Christ; in other ways, it’s nothing like it. Readers looking for something on the cross that incorporates both richness and retrieval should forget N. T. Wright’s latest offer and get this book. In no particular order, here are 10 reasons why. 1. Beautiful scholarship and scholarly beauty. Few books achieve such marks. Rutledge writes as a preacher, full of imagery and pathos, illustration and contemporary application. When she talks about radical evil, or the judgment seat of Christ, we are caught up in high drama, sensing the depth and intensity of what’s at stake, rather than (as can often be true) feeling like we’re watching someone solve a math problem. At the same time, she engages with a remarkable breadth of secondary literature from a variety of disciplines, and in most of this she represents complex debates judiciously and clearly. It’s not surprising to read that the book took close to 20 years to write. 2. The significance of her argument. The Passover lamb, the goat driven into the wilderness, the ransom, the substitute, the victor on the field of battle, the representative man—each and all of these and more have their place, and the cross is diminished if any one of them is omitted. We need to make room for all the biblical images. Rutledge does eventually argue that one underlying theme—the justification (or “rectification”) of the ungodly—is primary, but only after having spent hundreds of pages urging that all the images must be given their due weight. 3. Her focus on biblical images and motifs. Most of the book is taken up with extended treatments of the various biblical images and motifs of what happens at the cross, in such a way that brings them to life and defends them against criticism or distortion. In doing so, Rutledge repeatedly crosses party lines, sometimes sounding like a conservative evangelical, sometimes a high church liberal, and sometimes a traditionalist. The eight motifs she primarily focuses on are: Passover and exodus, blood sacrifice, ransom and redemption, The Great Assize, Christus Victor, descent into hell, substitution, and recapitulation. Frankly, it’s hard to think of many books that cover such a range of atonement images (she strongly objects to the word “theories”) in anything like this detail. All eight chapters go beyond explanation; they make the chosen motif live, weaving together biblical exposition, historical analysis, the contemporary world, and homiletic flair. 4. Her willingness to poke her own tradition when she feels it’s needed. The footnotes contain numerous sharp and often amusing critiques of all sorts of trends and fashions to which, I suspect, Rutledge is generally sympathetic: feminism, absolute nonviolence, Girardian and Anabaptist readings of Scripture, the emergent church, the redefinition of marriage, and so on. She trumpets the significance of doctrines that Episcopalians don’t always cherish, like the gravity of sin, divine justice, and punishment. She also commends all sorts of liberal boogeymen. She has a whole chapter in defense of Anselm. She quotes illustrations from R. L. Dabney as well as Fyodor Dostoevsky. She clearly loves John Calvin. She points out that Martin Luther was emphatic on Christus Victor, and wishes the Heidelberg Catechism was better known. This prophetic ecumenism is helpful at two levels: it shows us Rutledge is aware of the strengths and weaknesses of both her own tradition and others, and more challengingly, it provides a model for anyone—presumably including Reformation Protestants—seriously interested in semper reformanda. Challenging other traditions is easy; challenging your own can be a lot harder. 5. Her chapter on ‘The Godlessness of the Cross’ (ch. 2). This chapter is a gripping, moving, and emotionally exhausting tour de force worth the price of the book on its own. In the first few centuries of the church, Rutledge points out, Christians were far more aware of the scandal of the cross than of the precise meaning of the cross. She looks at crucifixion politically, culturally, medically, and historically, demonstrating why this is true. I can’t remember reading anything that communicates the shame, savagery, and sheer ungodliness of the cross as well as this. 6. Her treatment of the crucifixion is thoroughly Trinitarian. When Jesus came to the cross to bear the sin of the world in fathomless darkness, there was no substitute for him. He himself was the Lamb. God did not withhold his Son, his only Son. The Son himself became the substitute—for us. But the crucial difference between the Akedah and the cross, finally, is that the Father is not sacrificing the Son. God the Father and God the Son together, with a single will, enacted the eternal purpose of God that the second person of the blessed Trinity would become “once for all” the perfect burnt offering, for us human beings and for our salvation. 7. From both Scripture and the church fathers, she shows the substitution motif is incontestable. Most reading this review will probably not question that point, but it’s still common to hear people muttering something about the substitution motif having been invented by Anselm, or even Charles Hodge. Rutledge manages some winsome debunking on this one, while rightly criticizing more conservative traditions for an insufficiently Trinitarian (see above) and insufficiently narrative approach. 8. Her exposition of the ‘apocalyptic’ reading of Paul. Rutledge’s exposition of this reading and its implications for our understanding of the gospel is one of the clearest you’ll find. Rutledge is more persuaded by Louis Martyn and company than I am, but it’s hard to fault her discussion of why the whole debate matters for our view of the cross (even if, as I’ll explain below, I think her representation of the best responses to her position is inadequate). If you want to know what the full-scale acceptance of a Barth-Kӓsemann-Beker-Martyn paradigm would look like in gospel preaching, the chapter on Christus Victor (ch. 9) is a good place to start. 9. Her section on theodicy and evil. Found in an intriguing chapter on the descent into hell (ch. 10), this section provides a sweeping challenge to all sorts of easy answers, integrating the usual suspects (Job, Voltaire, Dostoevsky, J. L. Mackie, Primo Levi, David Bentley Hart) into a thoughtful essay on its own terms. My suspicion is she’s not nearly as far from Alvin Plantinga—or for that matter Tim Keller—as she thinks, but this remains a strong section of the book. 10. It’s good for evangelicals to read Christian books outside our bubble. This difference of perspective can be both enriching and illuminating. She uses contemporary philosophy illustratively rather than polemically. The range of poetry quoted is far wider and often more provocative than is typical in my tradition. The atonement is connected to race relations and civil rights far more than would usually be the case in a work of (white) evangelical theology. Footnotes contrast the different laughs of Desmond Tutu and the Dalai Lama, and highlight the implications for theologies of suffering. Rutledge’s vantage point means she can see many things I can’t, and that makes this book valuable. I suspect the same will be true for most evangelical readers. The Crucifixion isn’t a flawless book. Few are. Rutledge overplays the distinction between “sins” and “Sin,” arguing that the former is almost unknown to Paul, a view helpfully critiqued in Simon Gathercole’s recent work. She reads the parable of the wheat and the weeds as if it’s about each of us being “a mingled yarn, good and ill together,” which, though true theologically, is a stretch exegetically. Her engagement with Wright represents him so lopsidedly that it looks as if she has read critiques of his work, rather than his own books. She accepts the pseudonymity of Ephesians far too easily and all but ignores Colossians, despite Gorman, Johnson, Wright, Campbell and many others, which leads her (among other things) to relegate reconciliation to a second-order theme. She quite implausibly claims the man “handed over to Satan” in 1 Corinthians 5 is in hell, which is therefore penultimate and temporary. She misses the difference between a defense and a theodicy in Alvin Plantinga. Perhaps most problematically, her conclusion—although she never quite says things outright—leans in a strongly universalist direction, without engaging satisfactorily (at all?) with New Testament’s numerous warnings of eschatological judgment. Nevertheless, while these problems do mar parts of Rutledge’s argument significantly, especially in the final chapter, this remains a book of depth and insight, profundity and poetry. 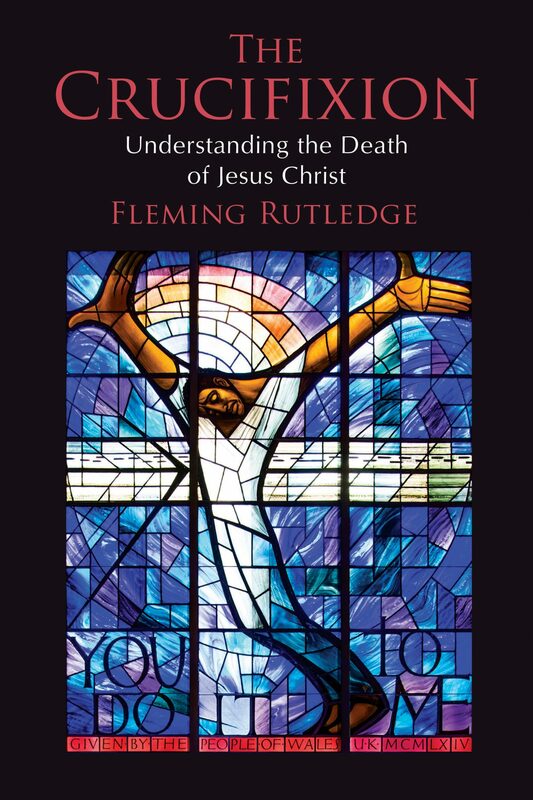 For all the disagreements I have with The Crucifixion on these and many other issues, Fleming Rutledge has richly explored the dimensions of Christ crucified. And she has written a magnificent book about it. You should consider reading it.